The 2018 Versa Notes are on our lot, here at Vernon Nissan! This Super Black Versa Note Sis ready and waiting for you. Make a break for it in the 2018 Versa Note - the powerful little 1.6L 4 cylinder engine gives it plenty of get-up-and-go while also delivering fuel-sipping efficiency, with 109 horsepower and 107 lb-ft of torque with front-wheel drive. Set on 15” steel wheels this model paired with the virtually gearless Xtronic CVT (Continuously Variable Transmission) makes your daily drive or weekend getaway as smooth as can be, and it is the perfect size to fit into that tight parking spot and maneuver easily around town. The S model offers great features such as air conditioning, intermittent rear window wiper, tilt steering wheel and dual power heated outside mirrors. Comforts include 60/40 split fold-down rear seats, cloth seat fabric. Also equipped in this Versa Note is Bluetooth Hands-Free phone system, AM/FM/CD audio system with 4 speakers, MP3/WMA CD playback, speed-sensitive volume control, illuminated steering wheel-mounted audio controls. Nissan also puts your safety and security first by installing Nissan advanced air bag system with dual-stage supplemental front air bags, driver and front passenger seat mounted side-impact supplemental air bags, vehicle dynamic control with traction control system, and electronic brake force distribution. 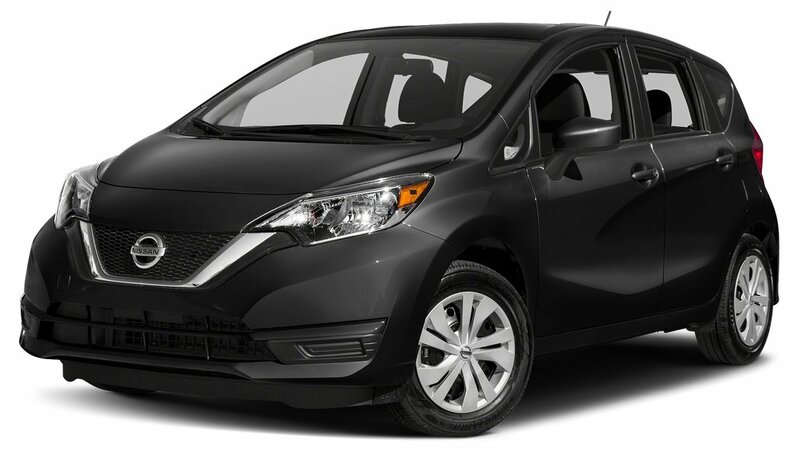 If you are looking for a roomy, comfortable car that’s lots of fun to drive has great features and keeps you safe, then come test drive this black Versa Note today!